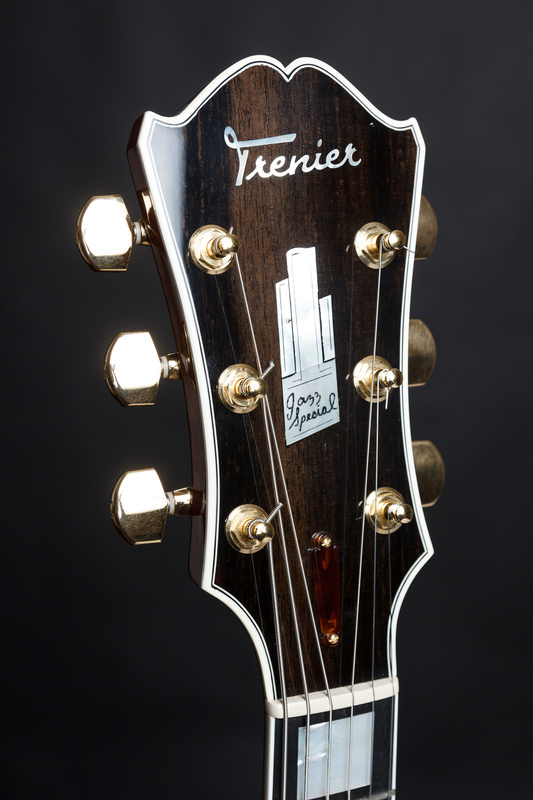 Welcome to the Trenier Guitars homepage. 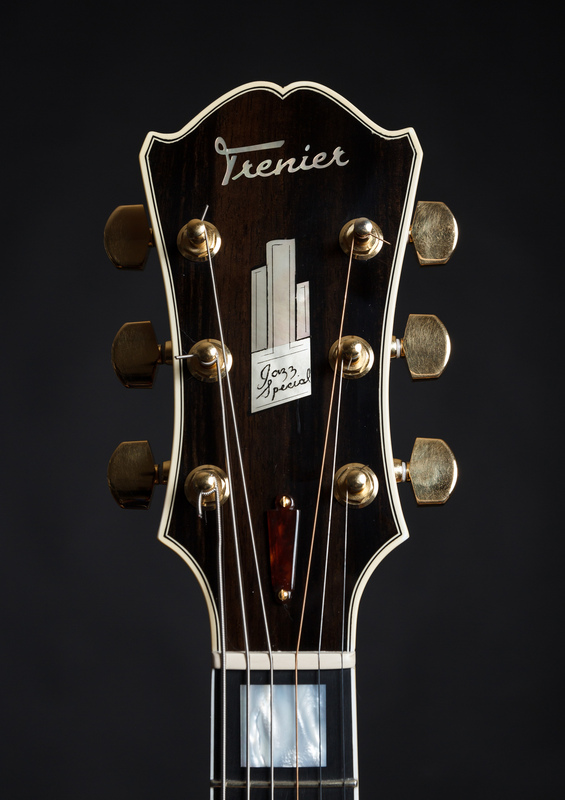 I am Bryant Trenier, and this is a look into my work. fresh ideas are constantly coming to the fore. and please let me know if you have comments or questions. 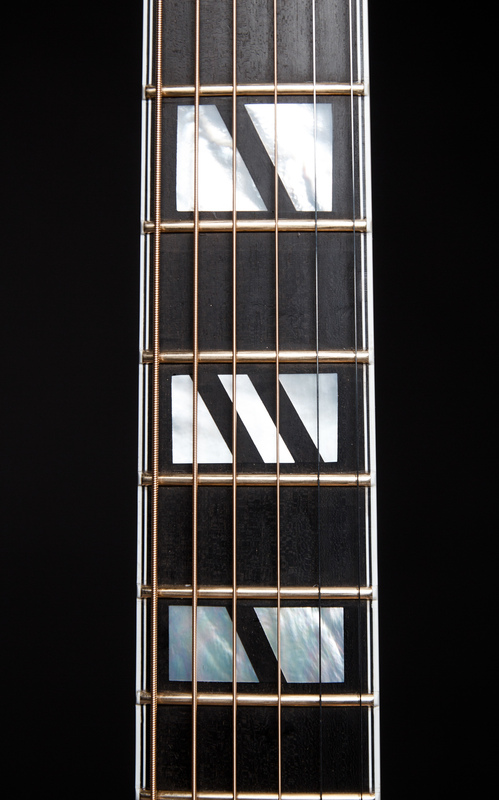 currently taking orders for, and the guitars I will be making in the coming year or so. I have made 3 New Yorkers in the style that James D’Aquisto was pursuing in the early 1980‘s. I intend to make a few more, of a differing design, also inspired by the city that brought us those great New Yorkers of years past. 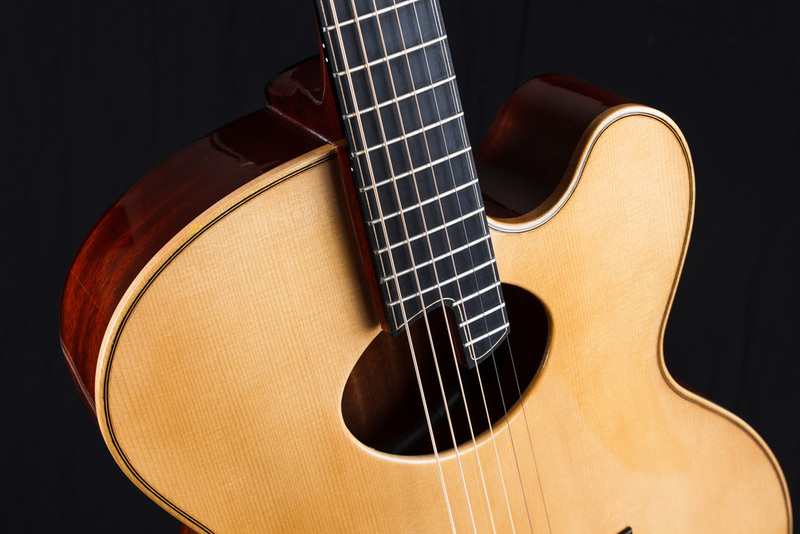 I have been working with Pasquale for several years on guitar designs, always searching for a new sound, and a fine playability. 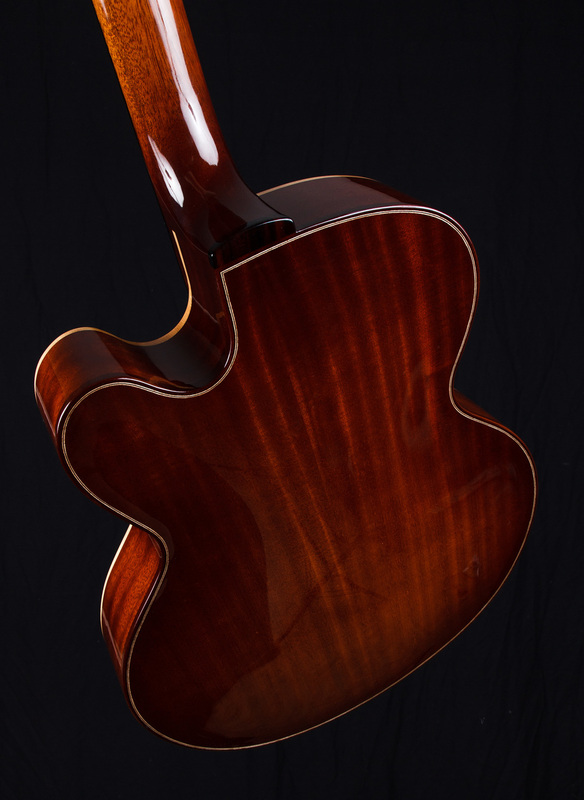 After making his black guitar in 2012, which featured a carved top and laminated back plate, he asked for an acoustic instrument, with a slightly larger body, and a few custom features. 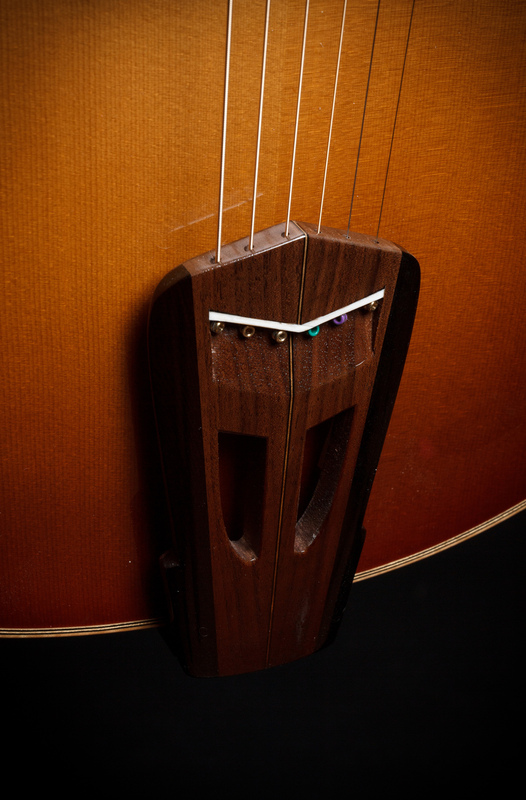 What we came up with is an entirely new type of guitar. 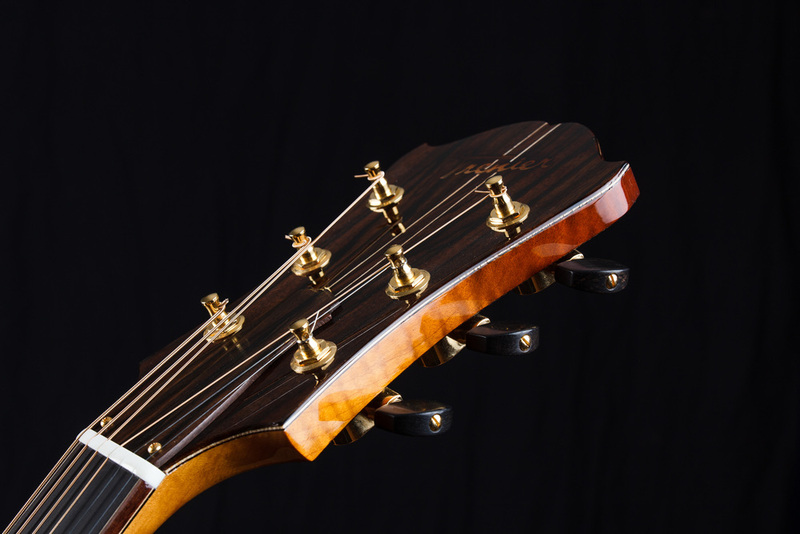 I put the neck joint at the 15th fret, for greater access up the neck, greatly beneficial for executing extended arpeggios over multiple octaves. 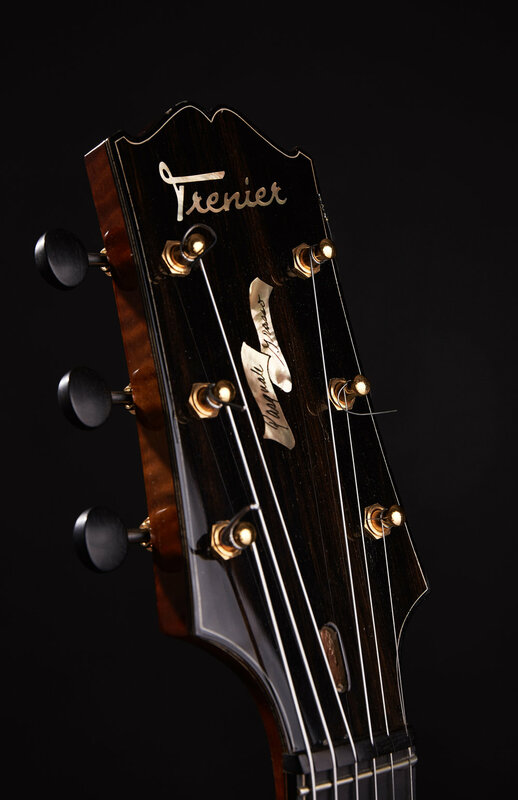 The zero fret is employed for tonal consistency between fretted and unfretted notes. Pasquale doesn't play with a finger rest, so I had to find a clever way to mount the controls, without cutting a hole in the soundboard. 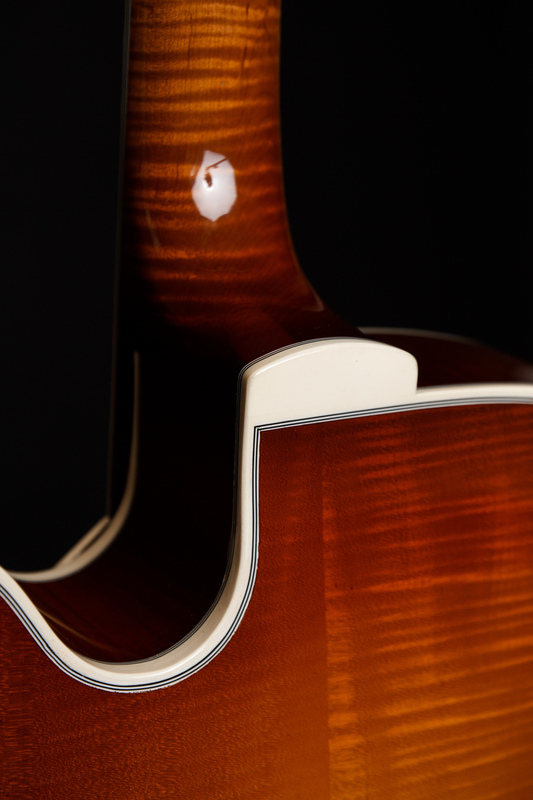 The tailpiece proved a good choice in this regard. Finally, he asked for a single coil, C.C. 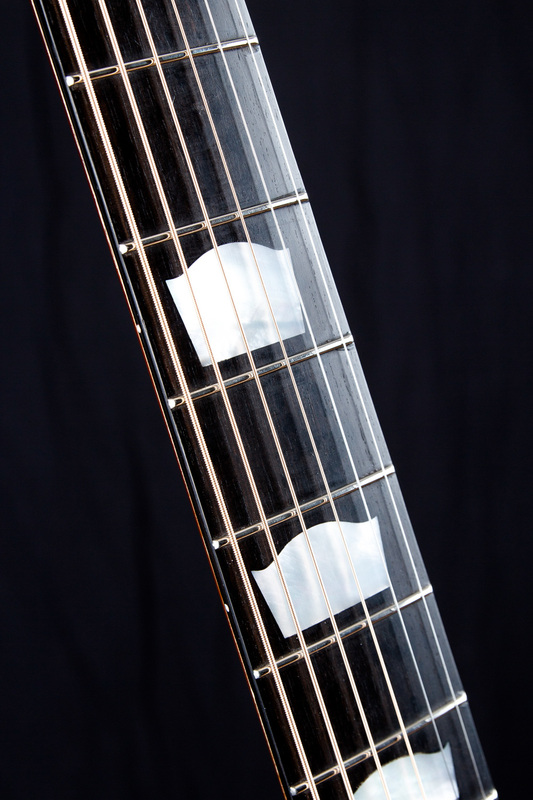 style pickup with very even tone, great for chording as well as single note playing. 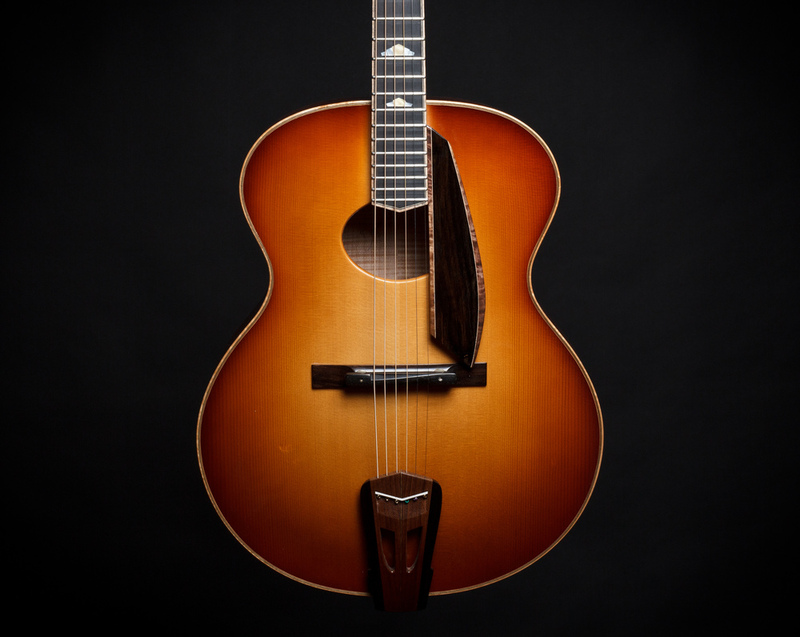 The challenge was put before Pete Biltoft, and he came up with very expressive pickup to complement the instrument. 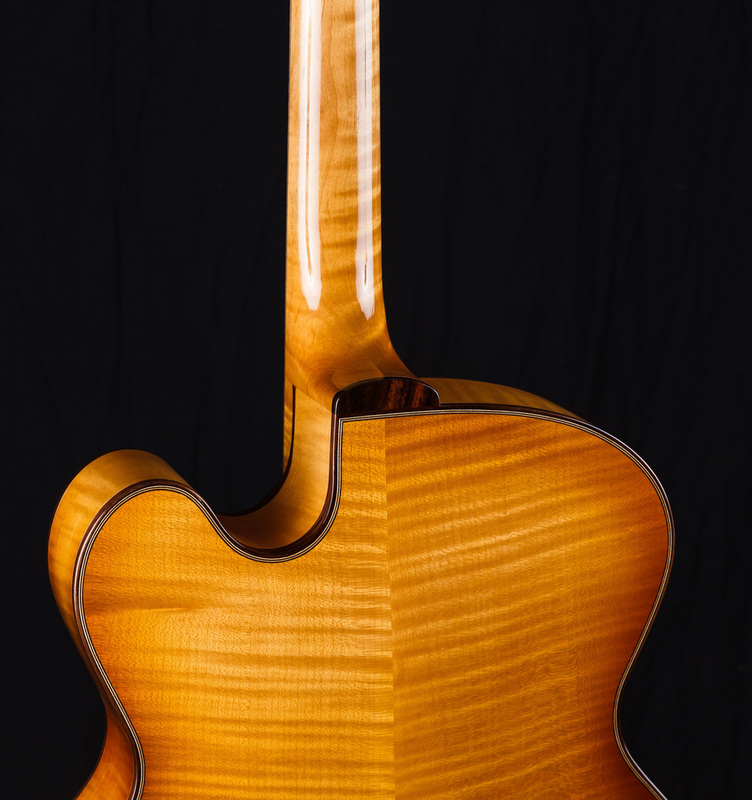 This began as a custom order, and I have decided to make 3 or 4 more of this model in the coming years. I often work in this manner, as a client will suggest certain tonal and aesthetic preferences, and the inspiration to further “dial in” the design will push me onward. 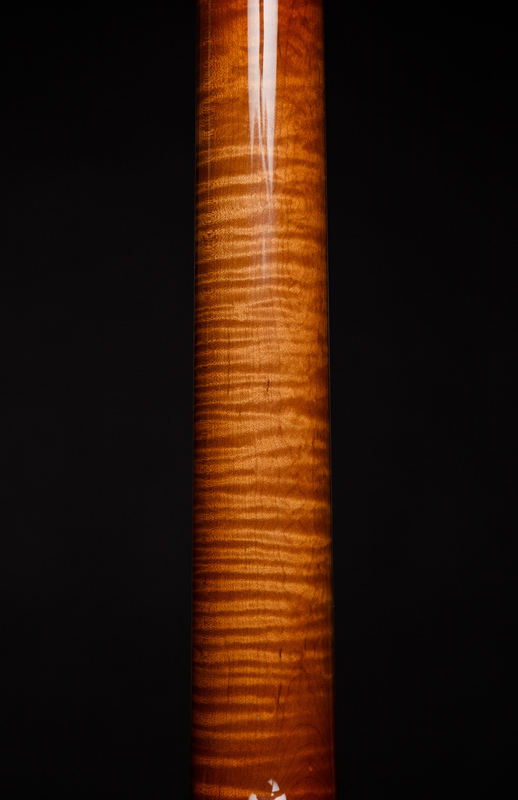 With the Calore I use all my best European woods, maple from the former Yugoslavia and spruce from the Tyrol region of northern Italy. 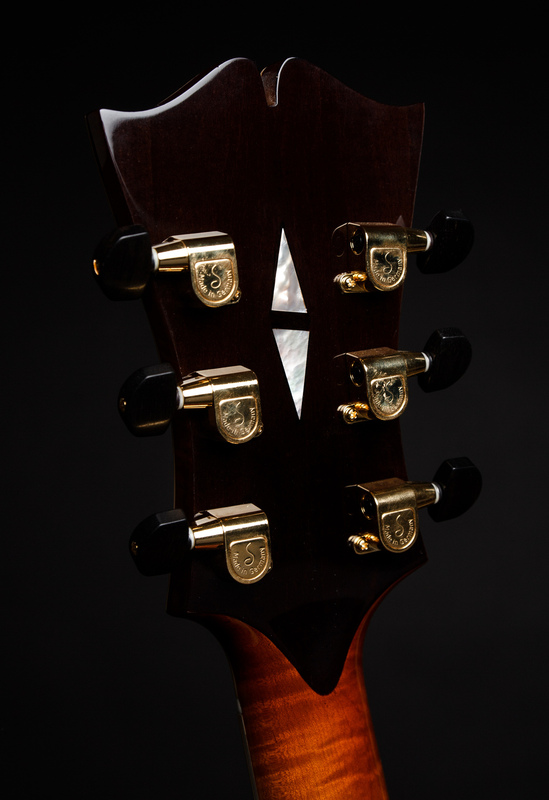 Combined with rosewood bindings and ebony fittings, a striking image and powerful sustaining tone are achieved. 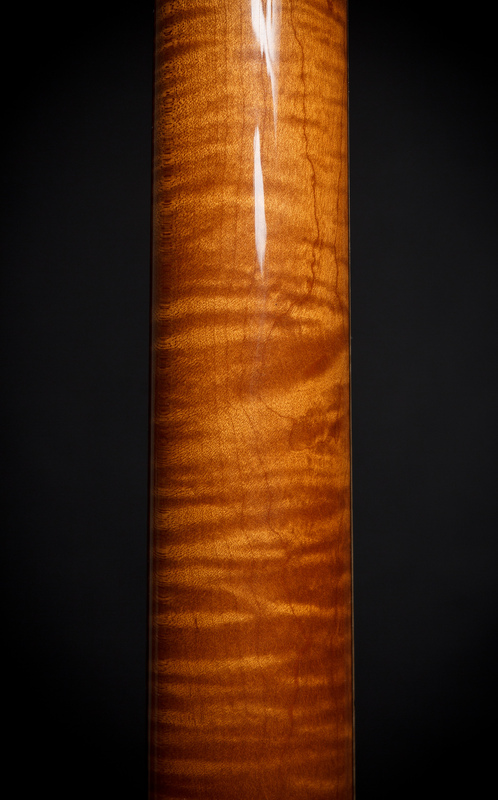 Regarding the finish, I shaded the lacquer with a “heated” look - as though it were aflame. 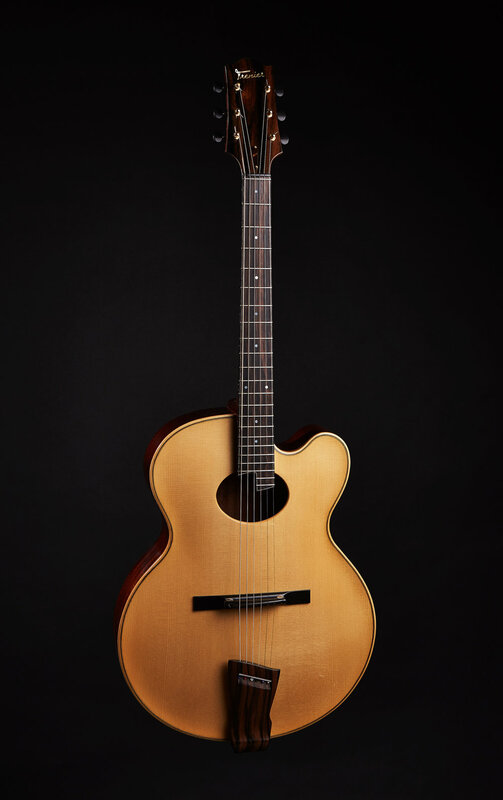 The original idea for the Motif was to make a fingerstyle archtop guitar - an instrument on which the most cerebral musician can feel at home. 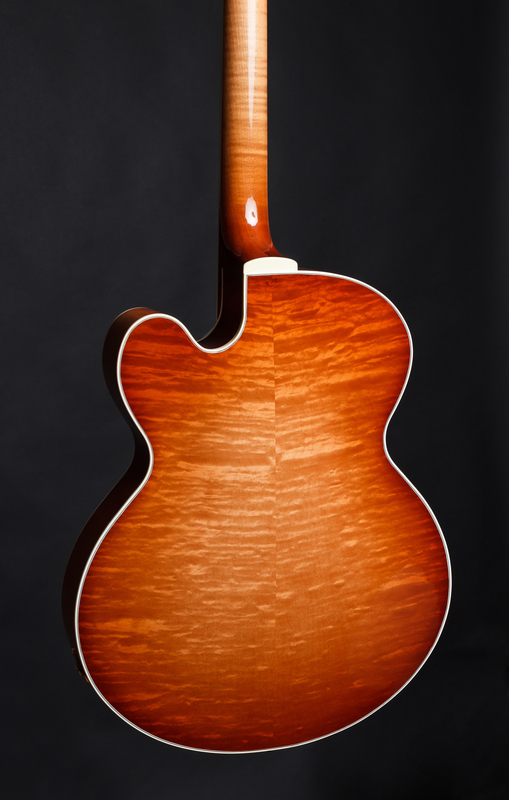 Mahogany is used for the back, rim, and neck, along with an Italian alpine spruce soundboard. 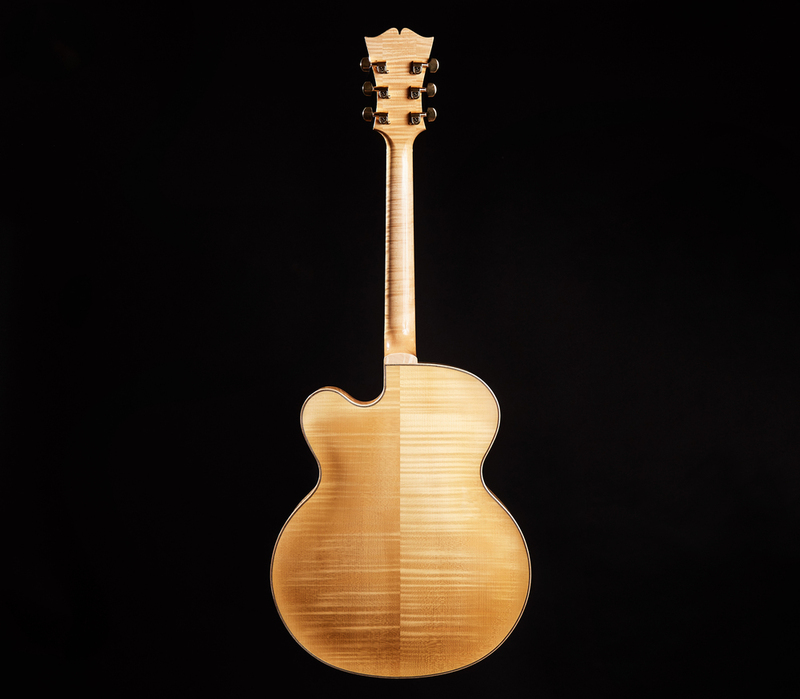 Solid linings and violin-style purfling, all hot hide glue construction - a very sensitive guitar, responsive to the lightest touch, or even breath. 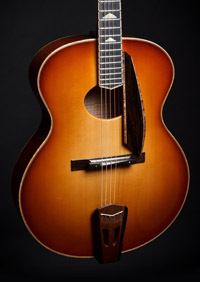 Once the design of the 16” guitar was worked out by the Gibson company in the late 1920‘s and expanded on by John D’Angelico shortly thereafter, a tone was achieved. 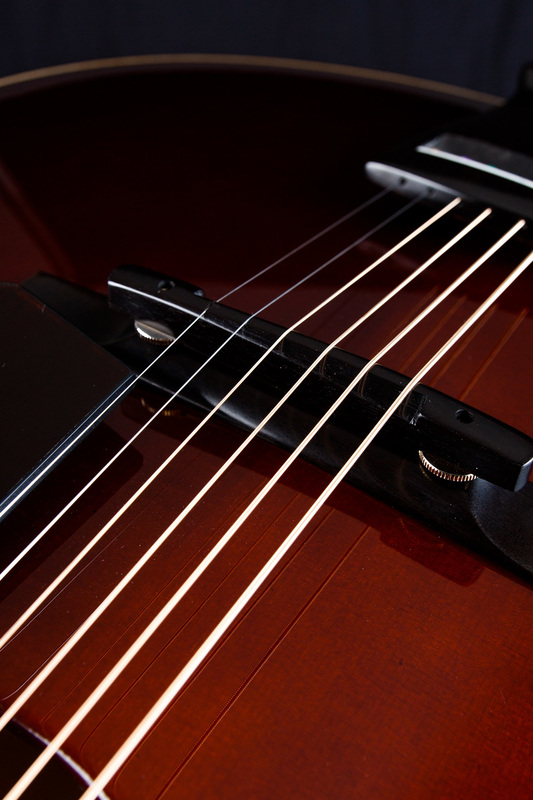 It was a tone that was full, balanced, and powerful. 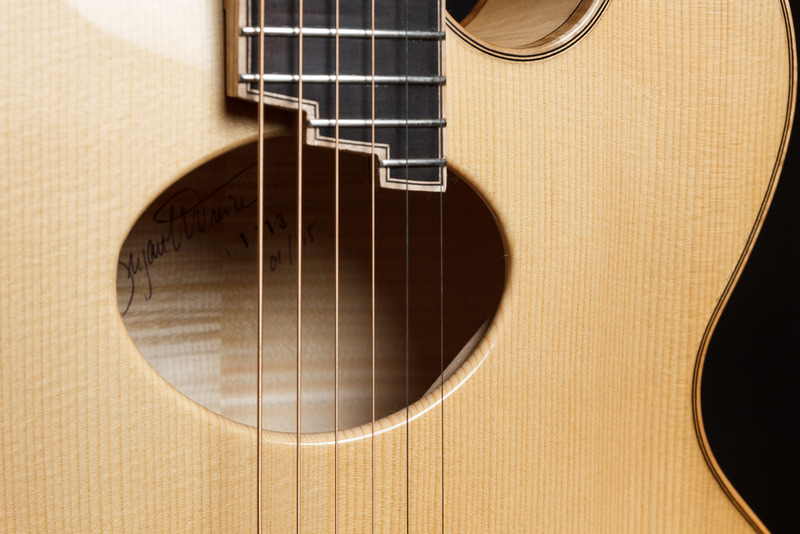 This is a design worth exploring by any contemporary maker of guitars - parallel bracing, narrow f-holes closely spaced, eastern maple and adirondack spruce make for a shouty, robust tone, as fit for 4-to-the-bar comping as for Carl Kress-style chord melody. To my ear, the perfect blend of power and beauty. 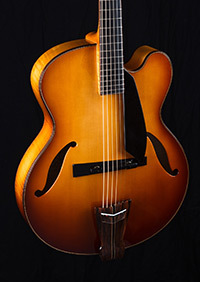 There is a 1989 DʼAquisto Jazz Special that I have been maintaining for several years, and in the spring of 2015, I set out to replicate that instrument. 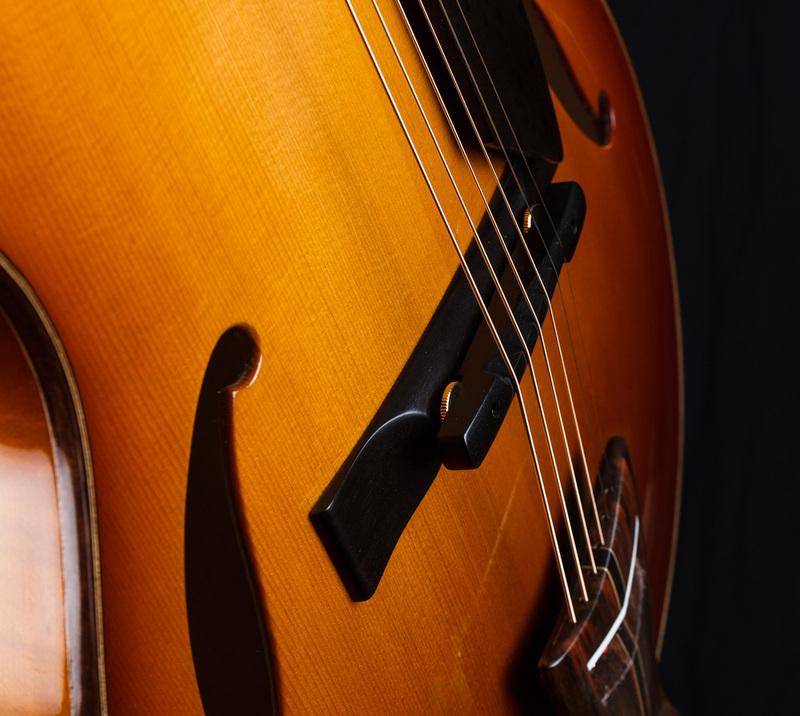 I was looking for the lush, beautiful tone that that instrument provided, in the same small package. 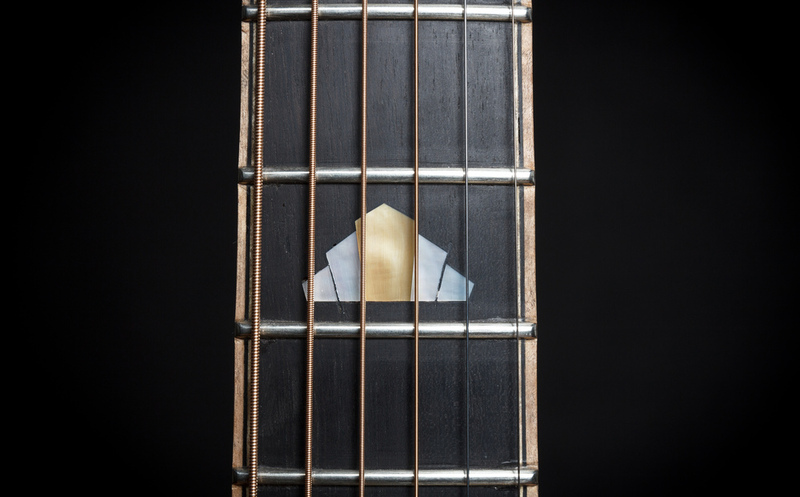 I set out to make my own laminated plates, and the guitars came together beautifully. 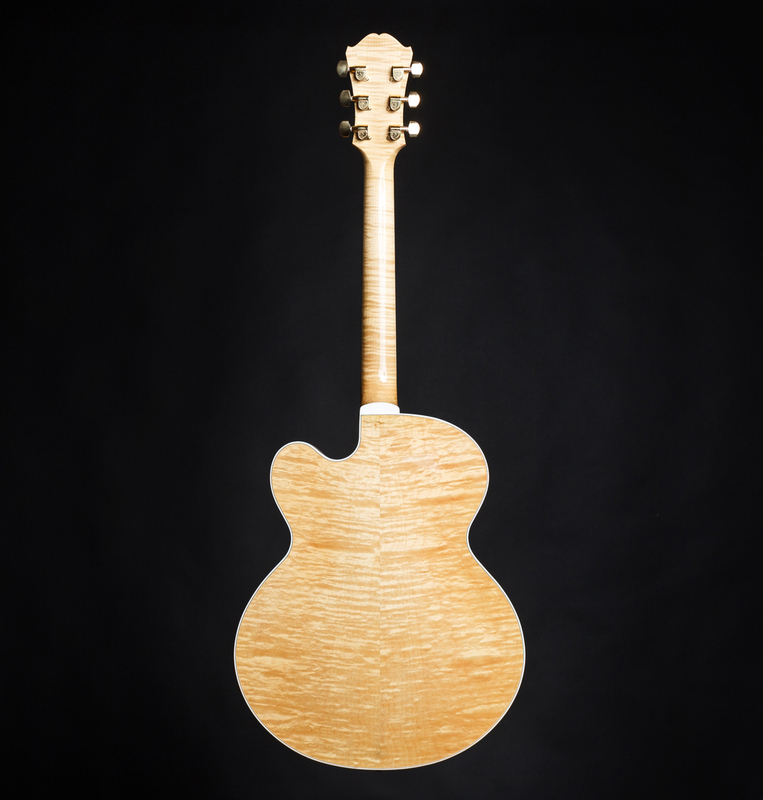 I am even offering an “acoustic” version of this small laminated guitar. 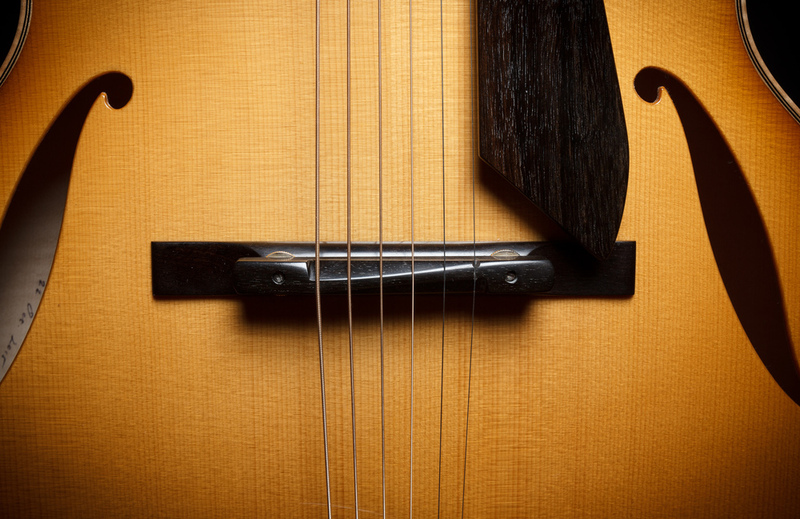 A floating pickup can be added, or it can be played free of electronic amplification, as the tone is balanced, warm, punchy - really quite remarkable. 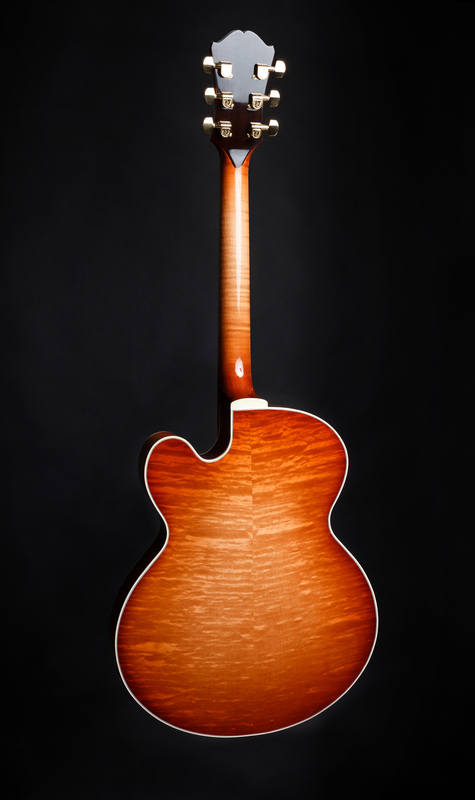 The previous guitars on the site are the foundation on which the majority of my work these days is done. What has come out of that is my custom work - have a look around, and if anything catches your eye, please drop me a line, and we can work out something completely new and original. 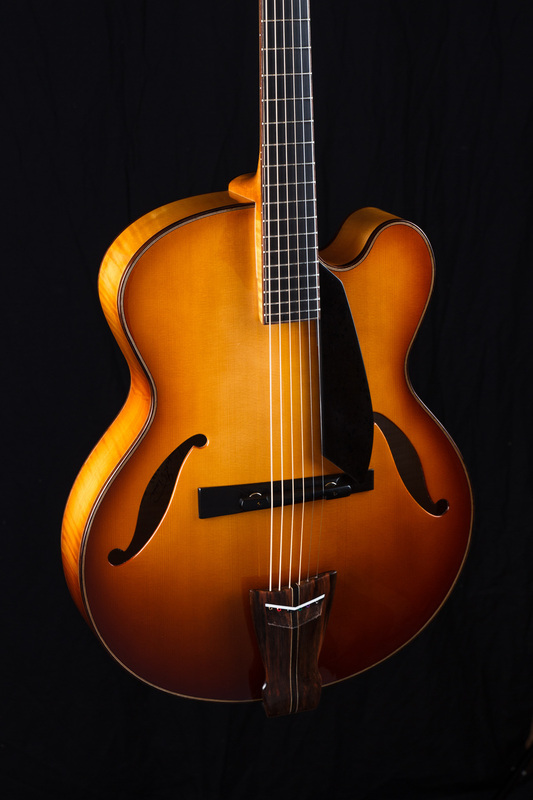 I began playing the guitar as a teenager, and quickly developed a fascination for archtop guitars. 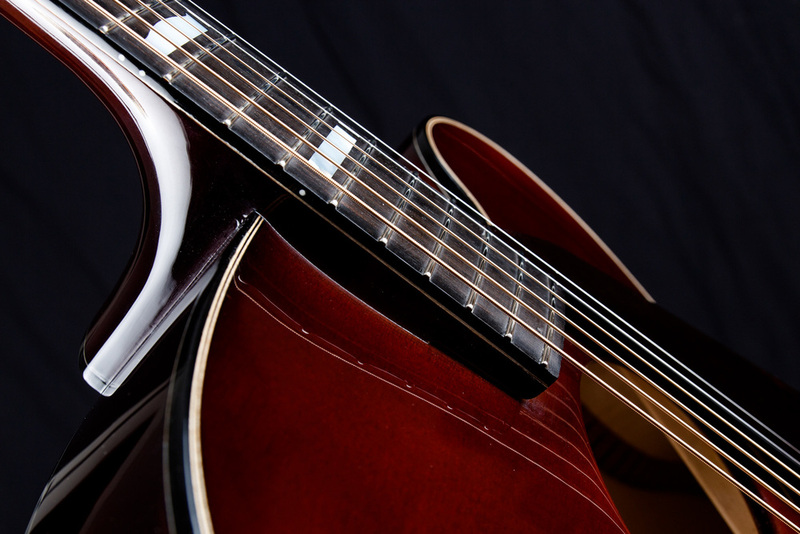 I always sought them out no matter where I went - in my early 20ʼs, guitar shows were more important to me than most pursuits that would occupy a young manʼs time. 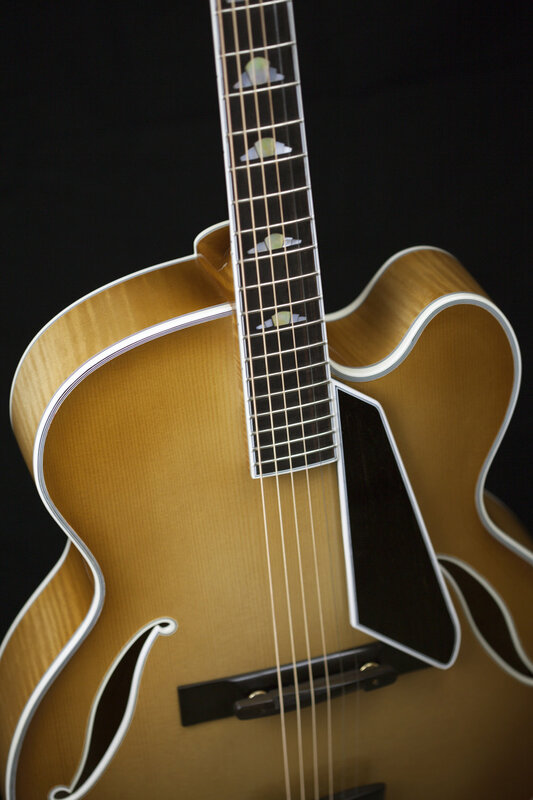 I developed an affinity for the DʼAngelico New Yorker, but that was a guitar which was always out of my reach, for a multitude of reasons. 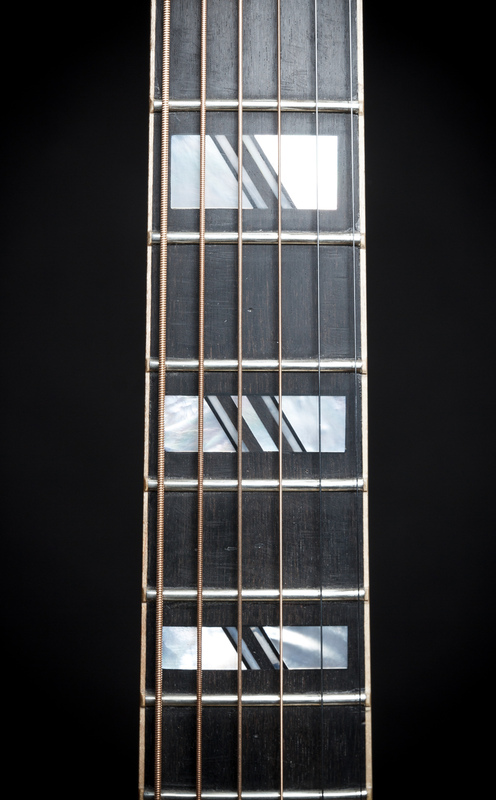 When I finally decided to make a guitar, I took that as my model, and made two of my own versions of that instrument. 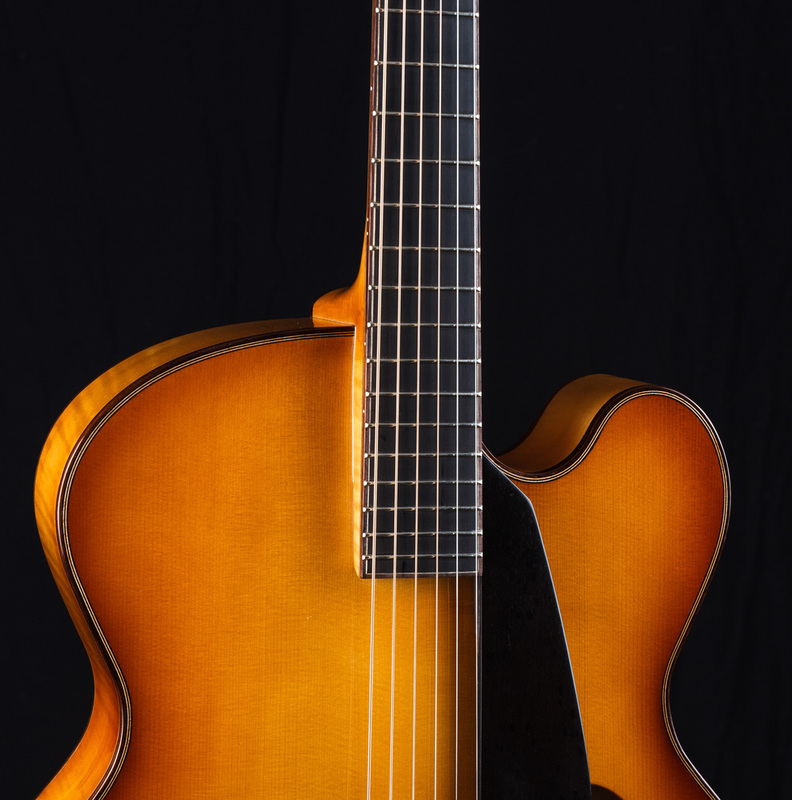 Over the years, I have had the pleasure and the privilege of restoring, maintaining, and making detailed studies of very fine instruments by John DʼAngelico, James DʼAquisto, and the Gibson company. There is so much to be learned from examination of these instruments, and taking them apart and then putting them back together has been my greatest teacher. 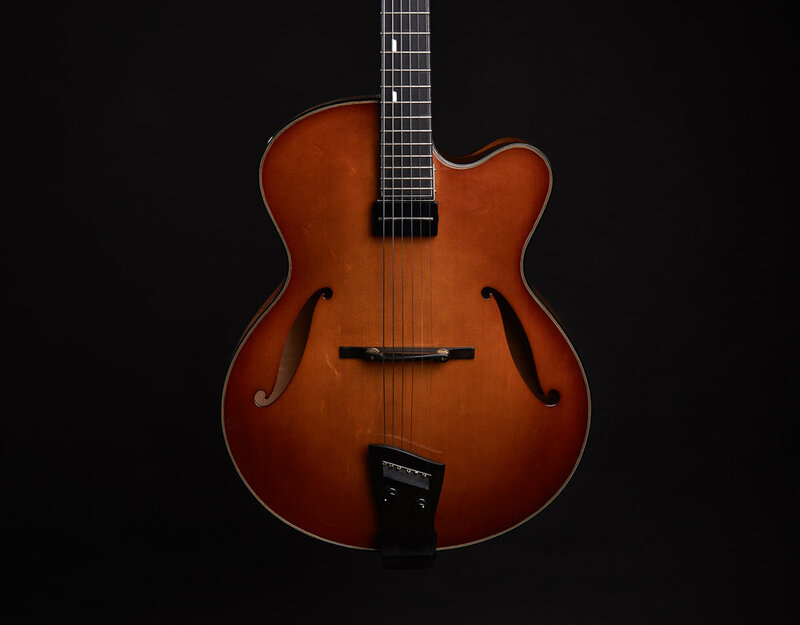 That I began as a player and evolved into a builder has sparked a commonality between myself and the makers of these instruments, and that is that great tone is always the ultimate goal. 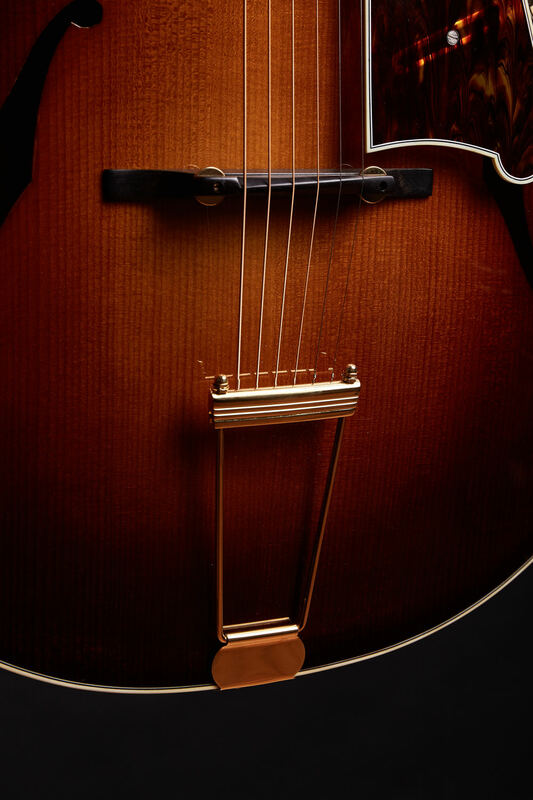 No matter how the instruments were dressed up, aesthetics always took a back seat to the functionality of the instrument. 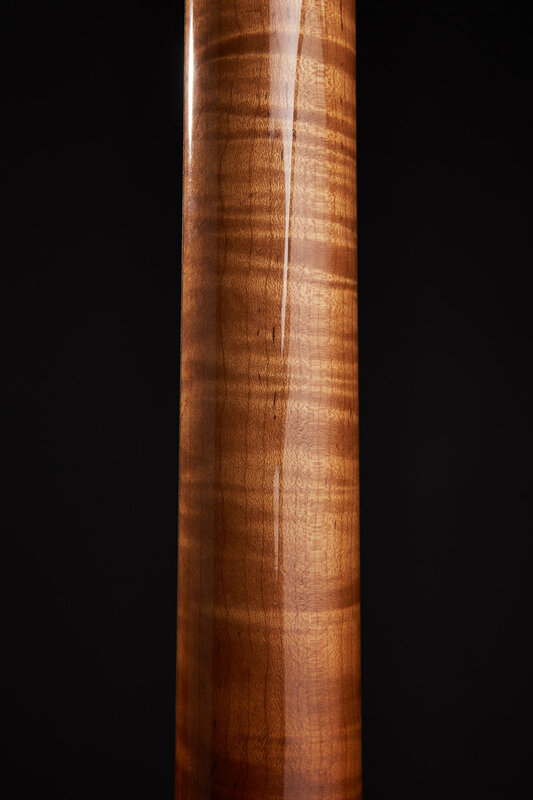 Particularly now, in this age of disappearing species, cultures, and degradation of our planet, it is immensely important to work with a design and execute it in a way that the wood used for the instrument will speak with its purest voice - how else can the cutting of the tree be justified? 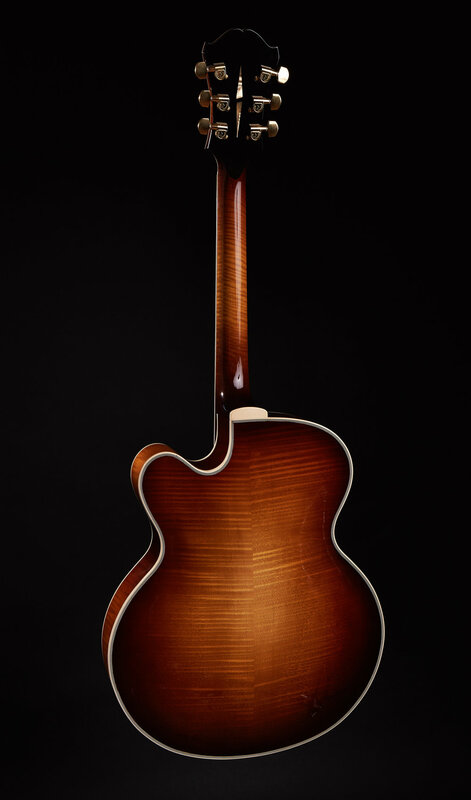 Design excellence trumps all - but great design, when coupled with meticulous workmanship, an elevated sense of aesthetic, and the hand of one who actually plays the instrument - that is my lifeʼs work. 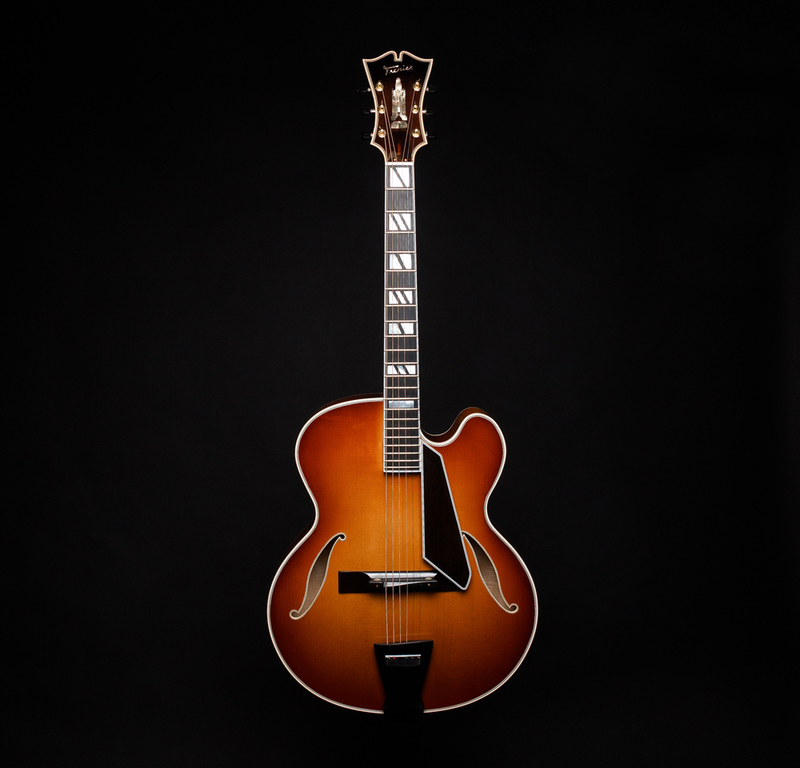 To place an order, a $3000 deposit is needed, the balance being due on instrument completion. 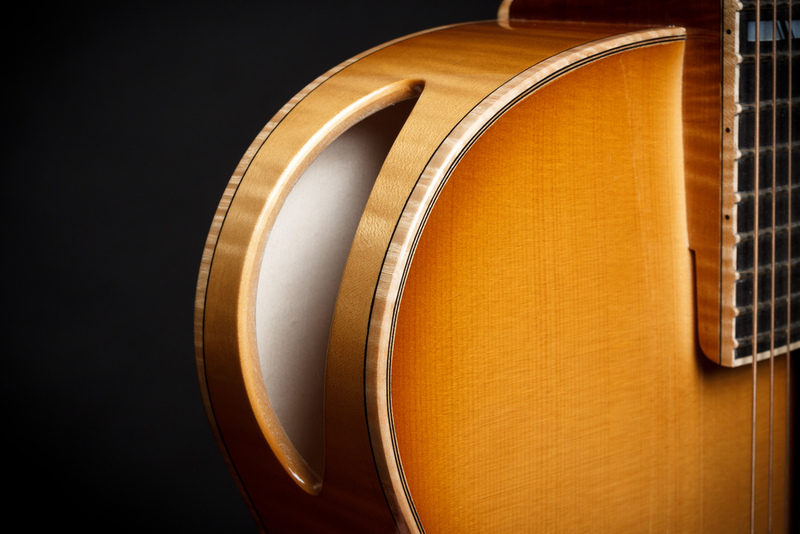 This deposit encompasses a design/consultation fee, and is used to procure the materials the instrument will be made from, as well as the case. 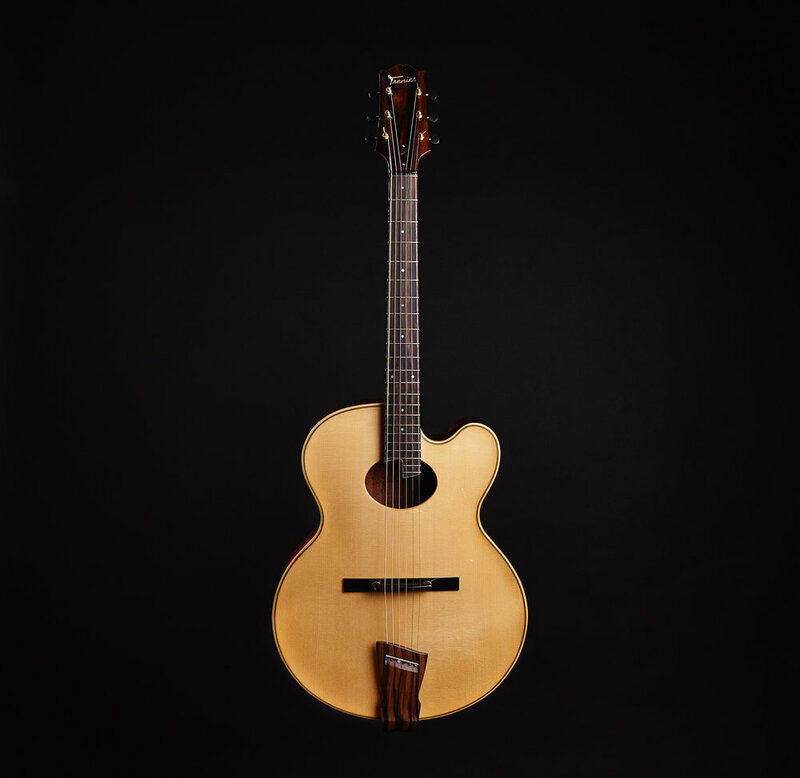 As of March 2016, the base price for my laminated guitars is $7500, and $10,000 for solid wood, fully carved instruments. 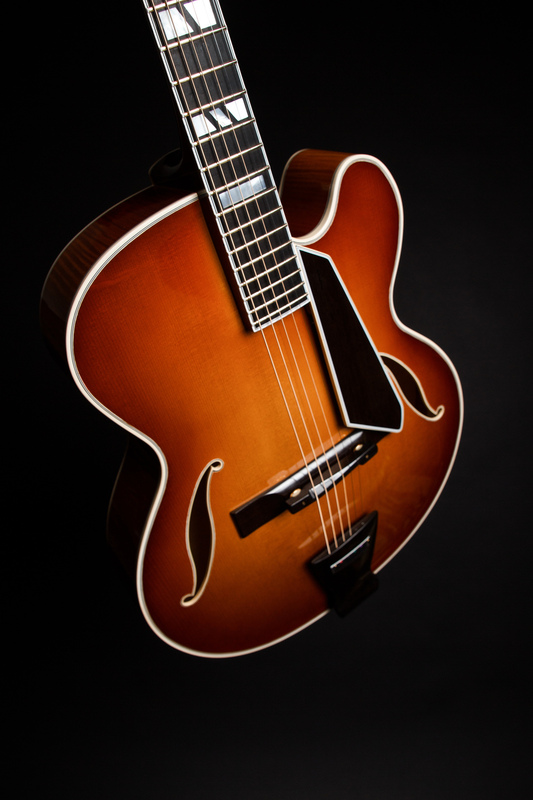 My waiting list has been growing over the years, but I lock in a price quote when a deposit is received, despite rising market and resale value of the instruments. 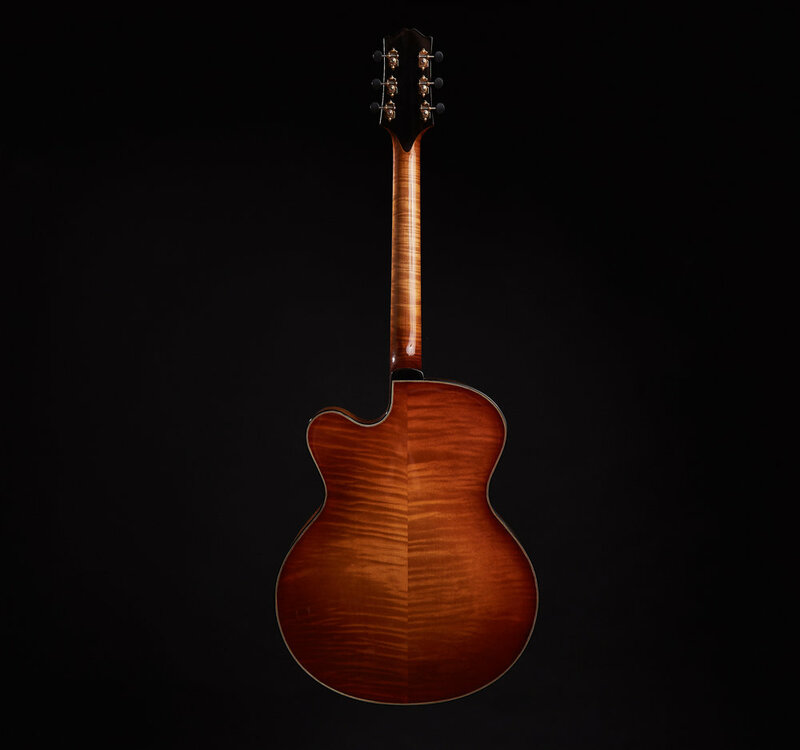 Do drop me a line with any questions you may have regarding the instruments, and should a custom guitar be in your future, I look forward to working with you.